Urgent update: Trump just announced that the Fish and Wildlife Service will now allow "trophy" imports of dead elephants and lions on a "case-by-case" basis. This is completely unacceptable. Please sign and share to protect animals and keep the total ban on this cruelty! President Trump just opened the door to expanded sport hunting of some of the world's most beloved — and imperiled — animals: Africa's elephants and lions. We need your signature today to help stop him. Near the turn of the 20th century, Africa was home to between three and five million elephants. Now less than half a million remain. Africa's lions have seen similar declines, with lion numbers declining by 42 percent in just the last 20 years. To save these iconic animals from extinction, the Obama administration banned the importation of elephant trophies from Zambia and Zimbabwe and made importing lion pelts and other trophies more difficult. Now President Trump — whose sons have boasted publicly of killing rare animals in Africa — has reversed this animal-saving ban. "When a species' greatest value is as a dead trophy, its days will inevitably be numbered, just as they are when the value of their parts — like ivory tusks, tiger skins, or rhino horn — make protection from poachers nearly impossible." The move is also squarely at odds with public opinion in the US. 82% of Americans surveyed support banning lion trophies, and 83% support banning elephant trophies. That's why Care2 is calling on Arizona Congressman Raul Grijalva, one of the most stalwart animal defenders in Congress, to introduce legislation to reverse the Trump administration's trophy import decision as soon as possible. By adding your name today you'll show Congressman Grijalva that conservation-minded people around the world reject sport hunting of our imperiled species. And you'll provide the public support we'll need to restore vital protections for whales and lions. Speak up now for elephants and lions. 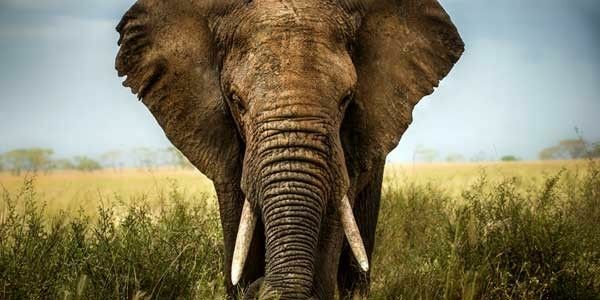 Please sign the petition now to stop all new imports of elephant and lion trophies. Trump and Zinke's "Wildlife Conservation Council" met TODAY. Tweet about this horror show right now!. The council is pretty much all trophy hunters. No scientists, no conservation organizations. Read more here. Share our petition to tell Congress to stop Trump's trophy hunt rollback. Thanks for standing against killing elephants, rhinos, lions and other wildlife for trophies! Bad news! Trump just announced that the Fish and Wildlife Service will evaluate imported dead elephants on a ‘case-by-case’ basis. But we need a total ban! Please share, together we can be heard. Our pressure is working!! Trump has tweeted that "Put big game trophy decision on hold until such time as I review all conservation facts. Under study for years. Will update soon with Secretary Zinke. Thank you!" We still don't know what he will do - share the petition to urge Congress to act now to protect wildlife!